Who doesn’t love spring? After the dark, cold wetness of winter we all love the fist glimpse of the sun, the first feeling of warmth and the first sighting of roadside daffodils. Spring flowers. They are just so god-dam cheerful. Bright cheery daffodils, bobbing bright tulips, scented hyacinths and the delicate ranunculous. What’s not to love. Put them altogether and they really are everyone’s favourite flowers. Grace and Elegance supplied the bubbly smiling Katie with one of their beautiful bridal dresses. Wedding Belles and Isabella Grace worked their combined magic and produced pure gorgeousness. 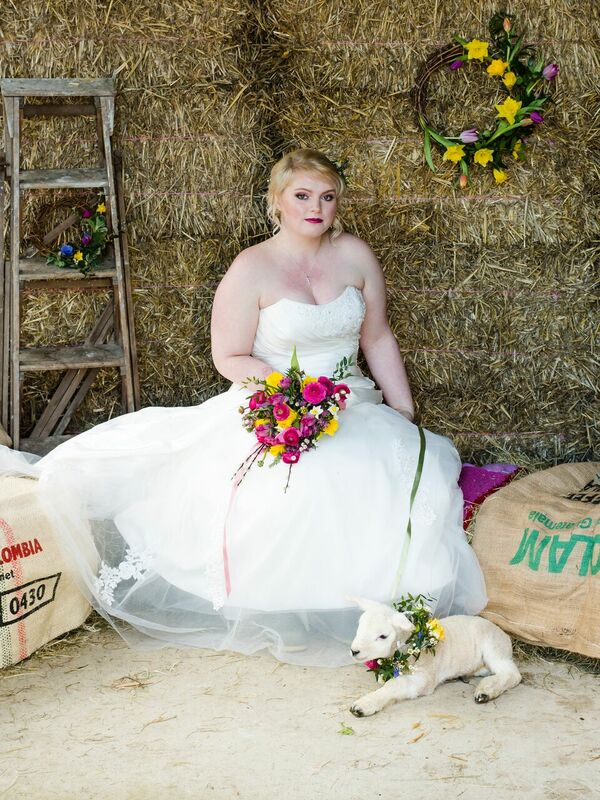 The Big Sheep were our hosts of the shoot and had built a brilliant straw and hay backdrop. The best.day.ever styling van turns up and like a Mary Poppins carpet bag, produces the most spot on props and styling. 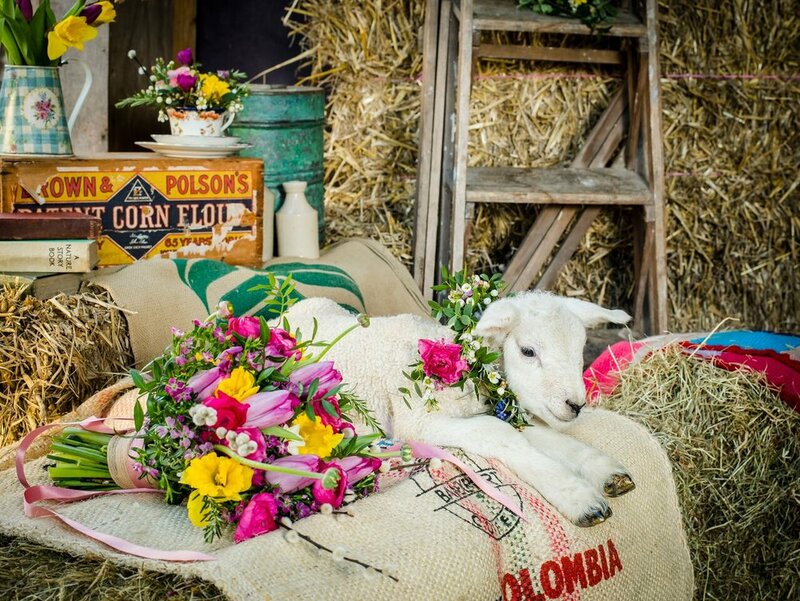 Add a good sprinkling of spring flowers and the result is the perfect setting for our star of the show: “Lottie the lamb”. He really was the most chilled out cuddly lamb ever. Stole the show with not a spot of lippy required. We were especially blessed to have Gavin Warland on board to capture all of this spring sensationalism. There's not a lot more I can say but just let these fabulous images do the talking. Posted on March 23, 2018 by Heather Eales and filed under Bouquets, Bridal, inspiration, photoshoots and tagged spring spring wedding farm wedding wedding wedding flowers photoshoot.